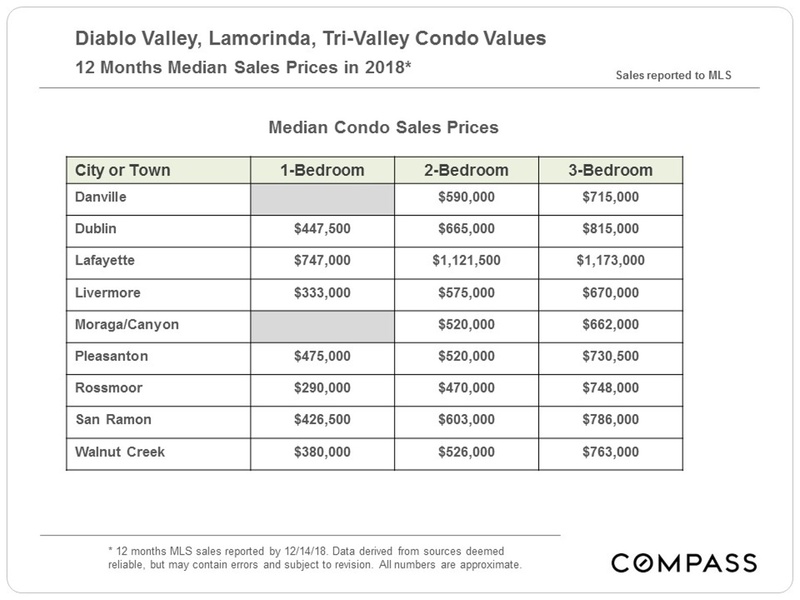 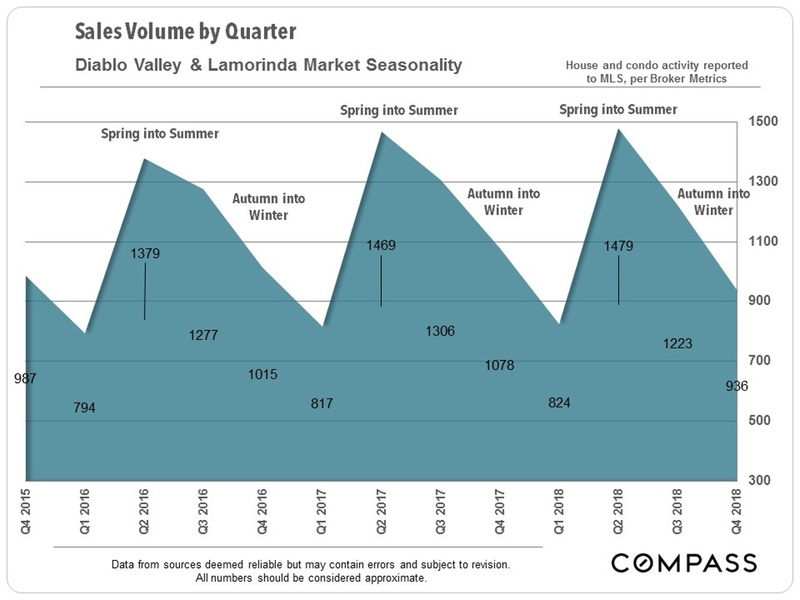 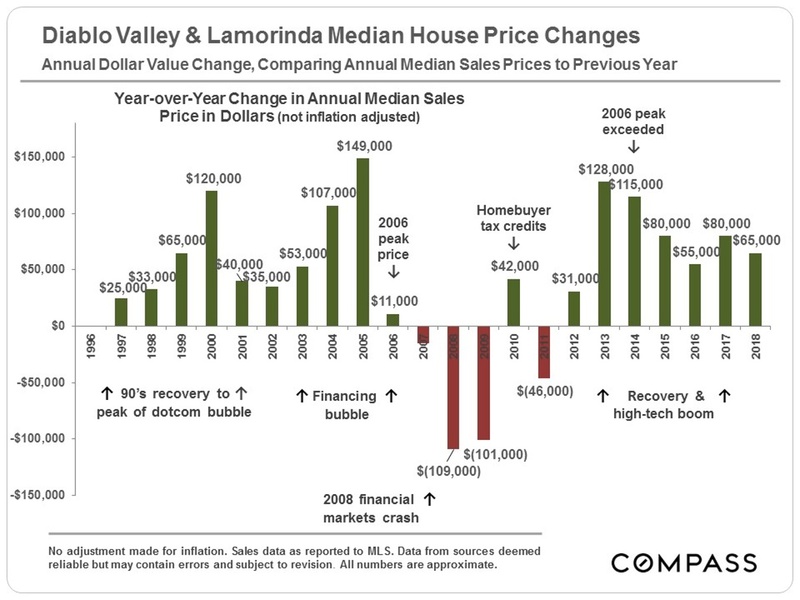 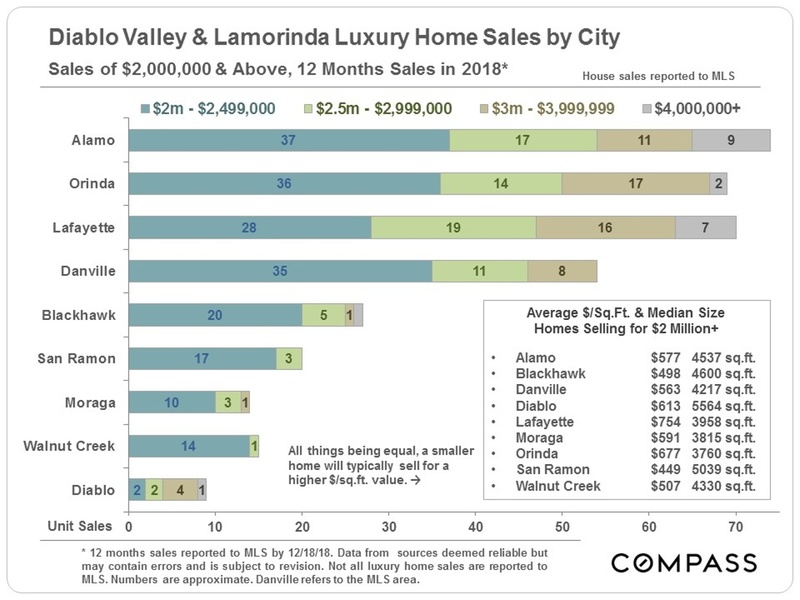 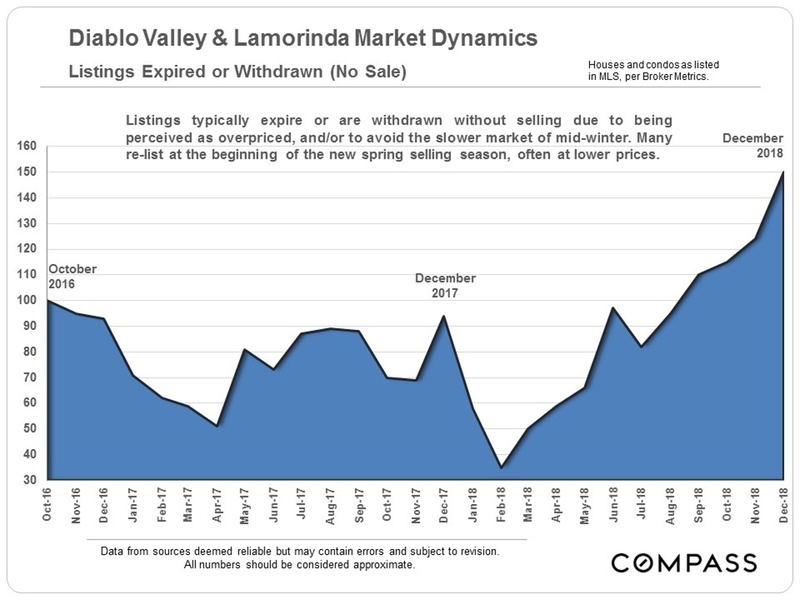 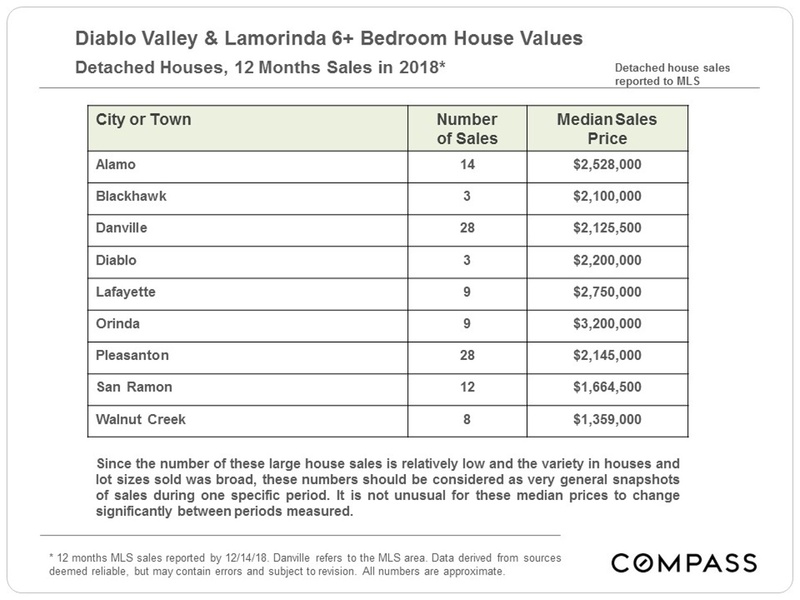 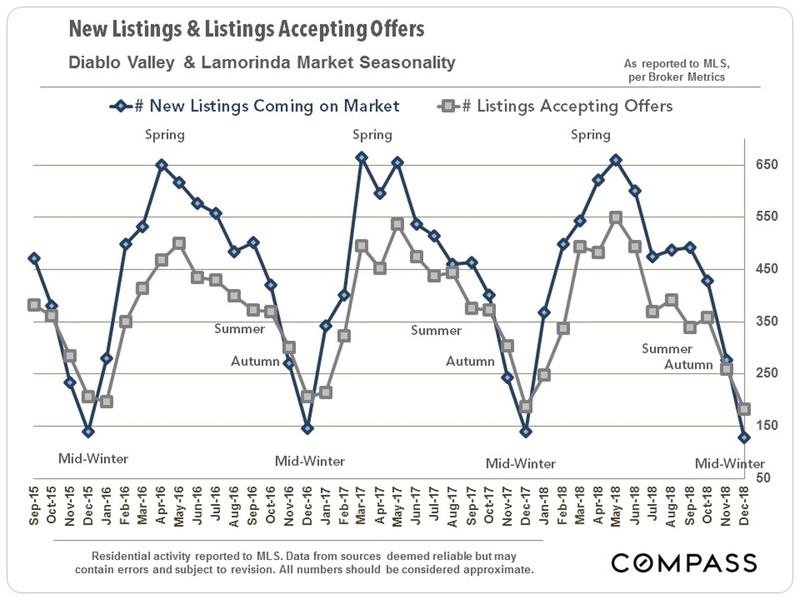 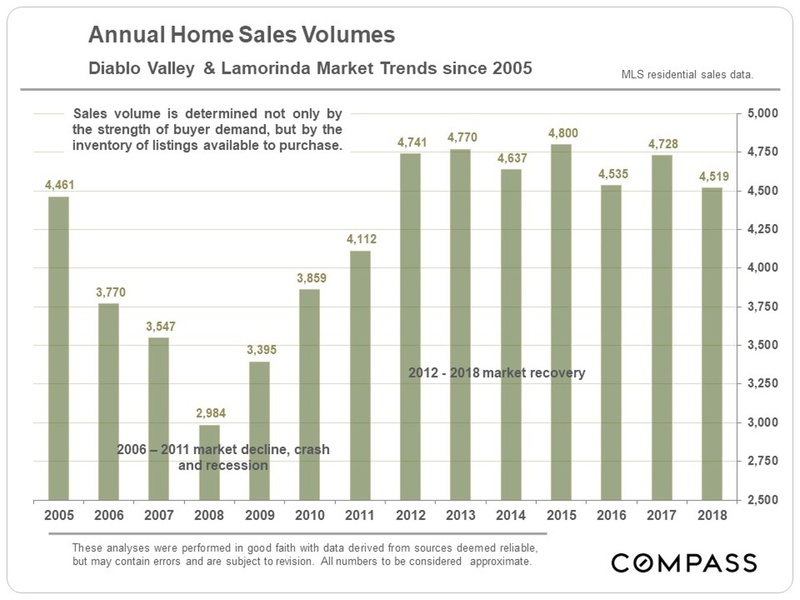 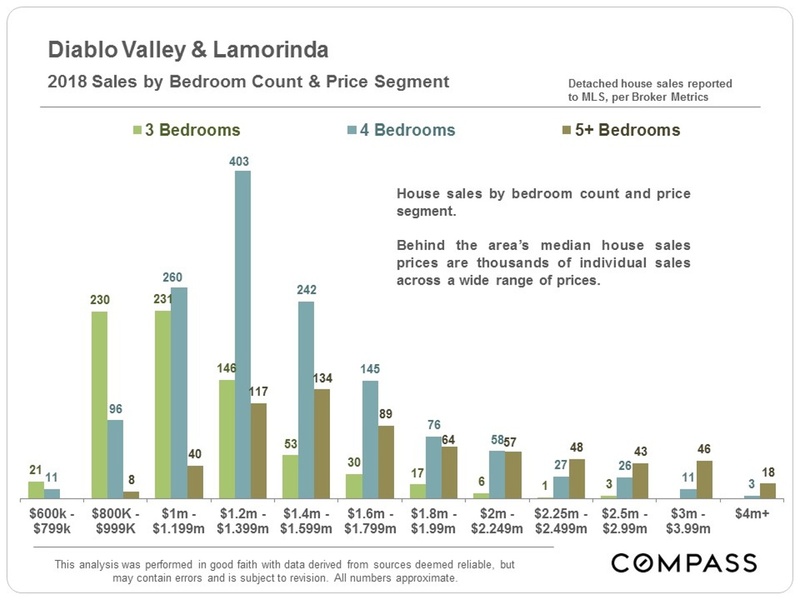 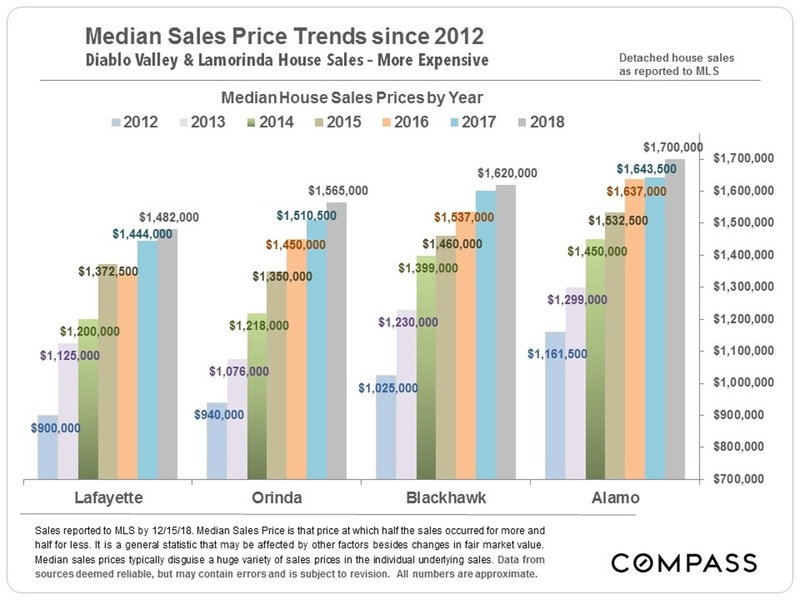 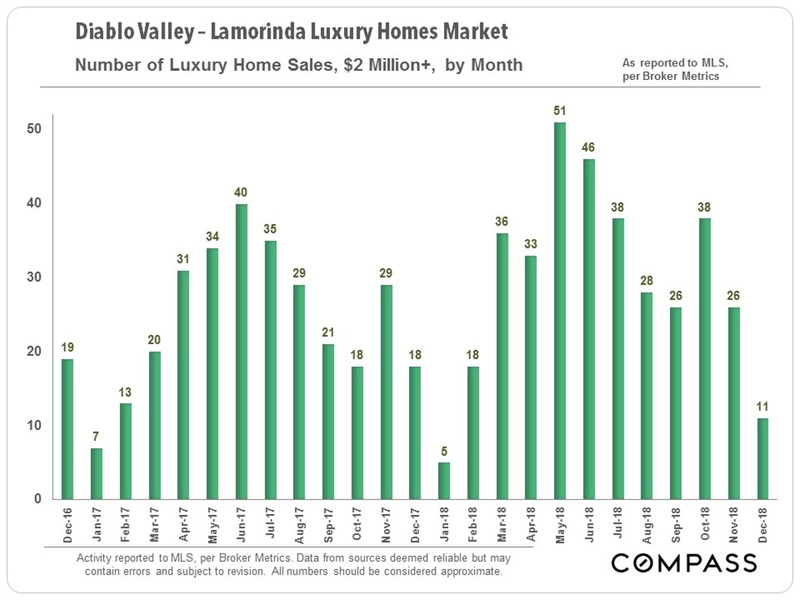 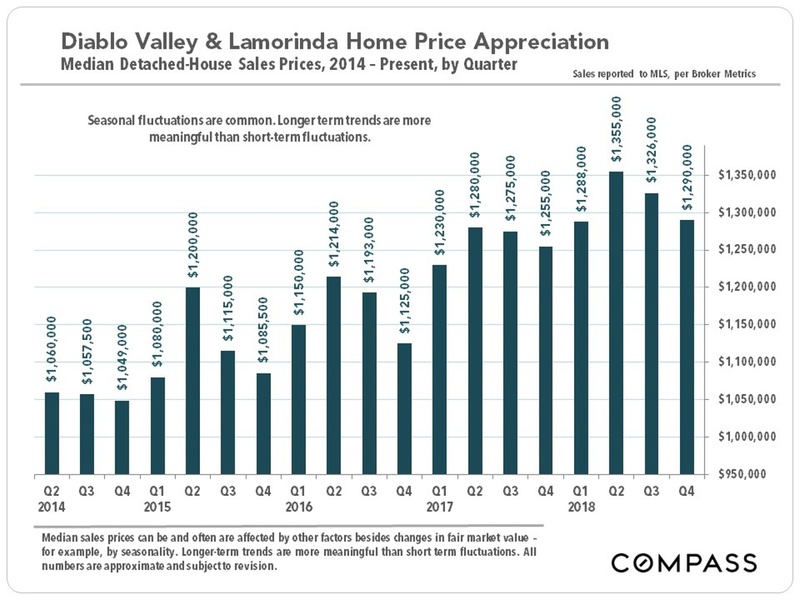 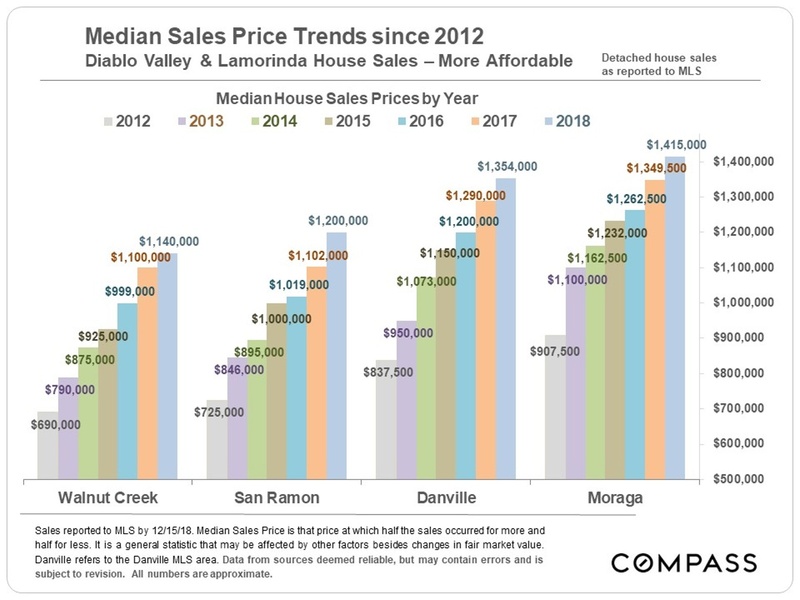 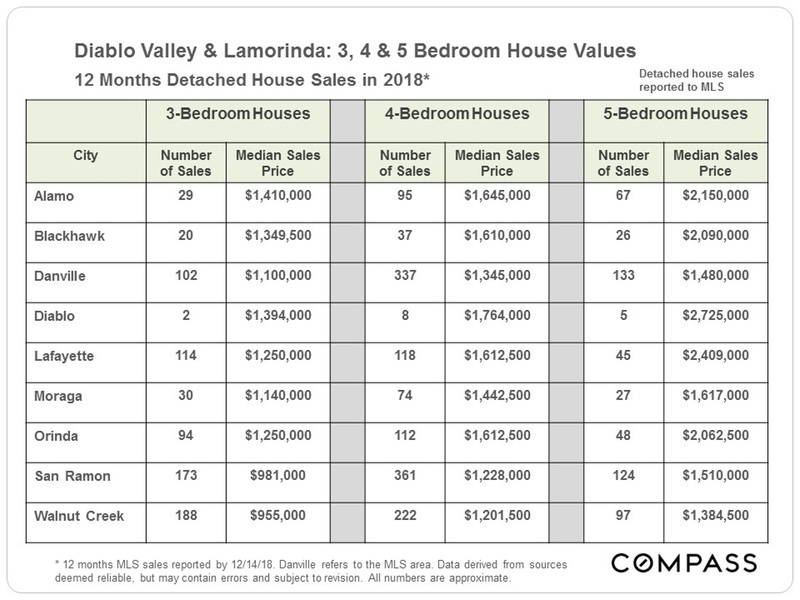 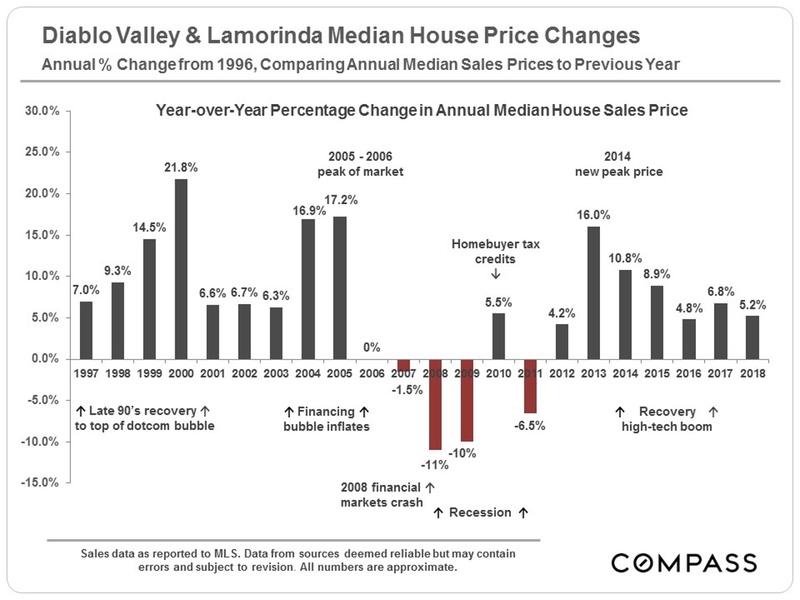 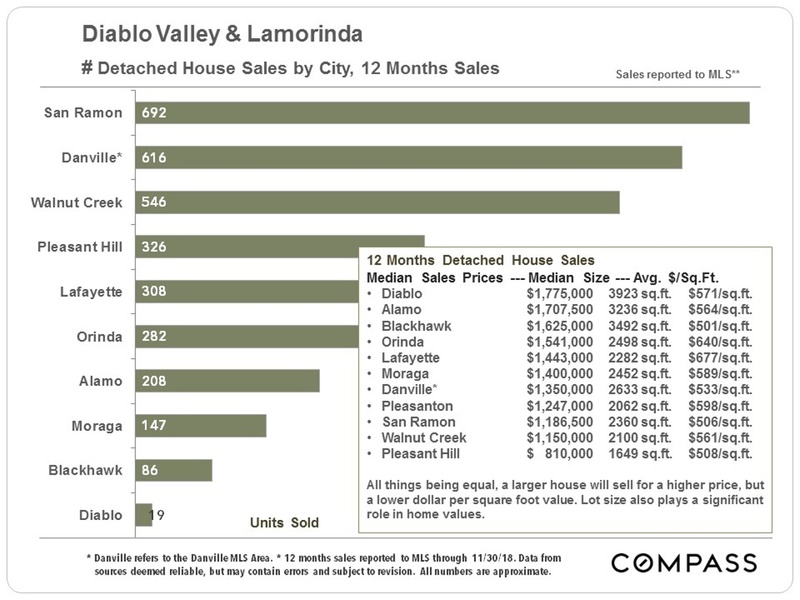 As we step into February 2019, here’s a market update for the Diablo & Lamorinda areas. 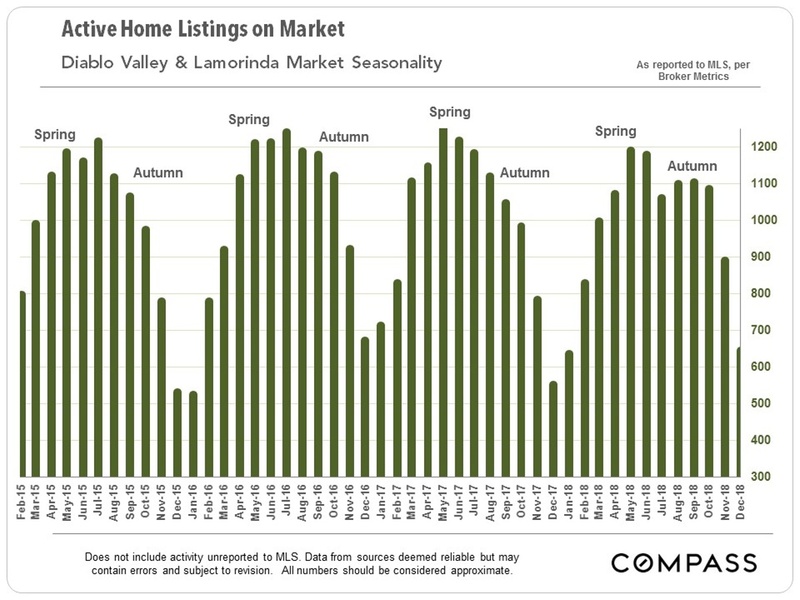 We are happy to provide you current market info on available homes & the current pulse of the market in any Bay Area location – Contact me anytime to discuss. 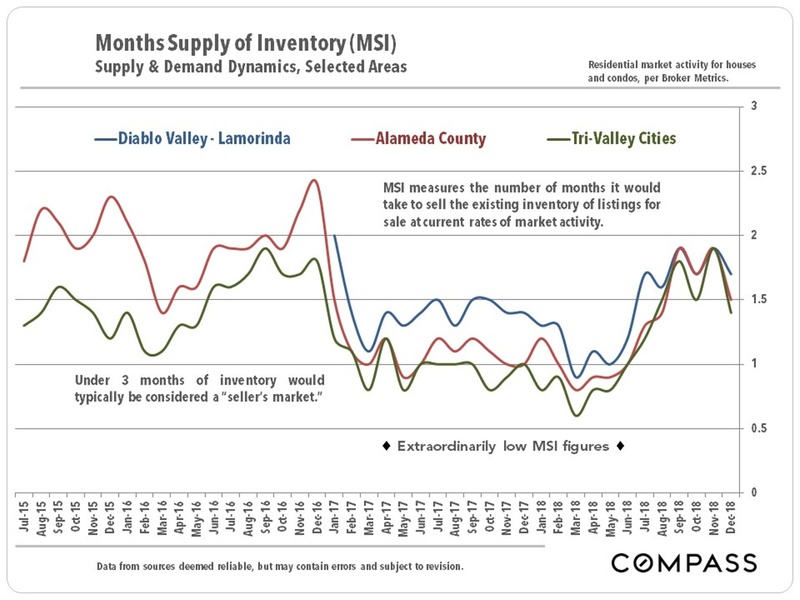 Many of the market indicators reflect the huge role seasonality plays in the market, whether measuring inventory or demand. 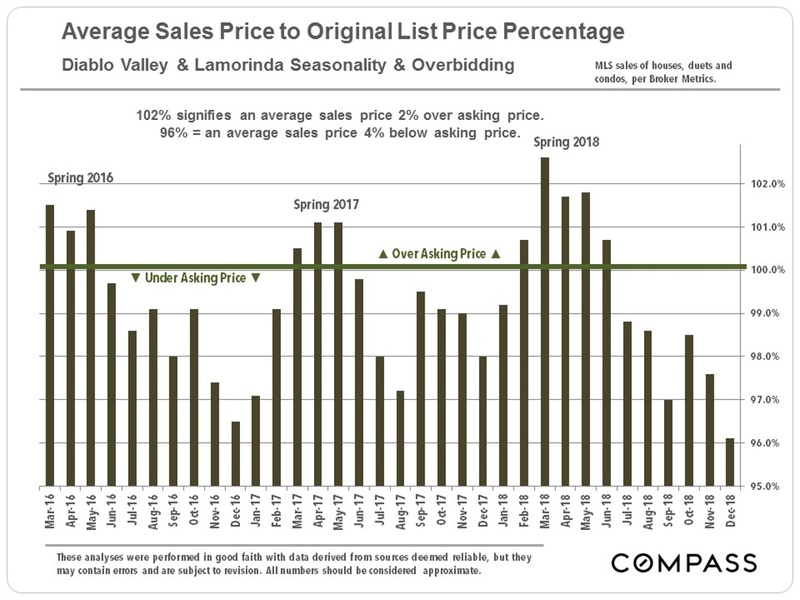 Conditions have definitely cooled since the height of the spring selling season, as is common, but many of these statistics do not show dramatic changes from recent historical trends. 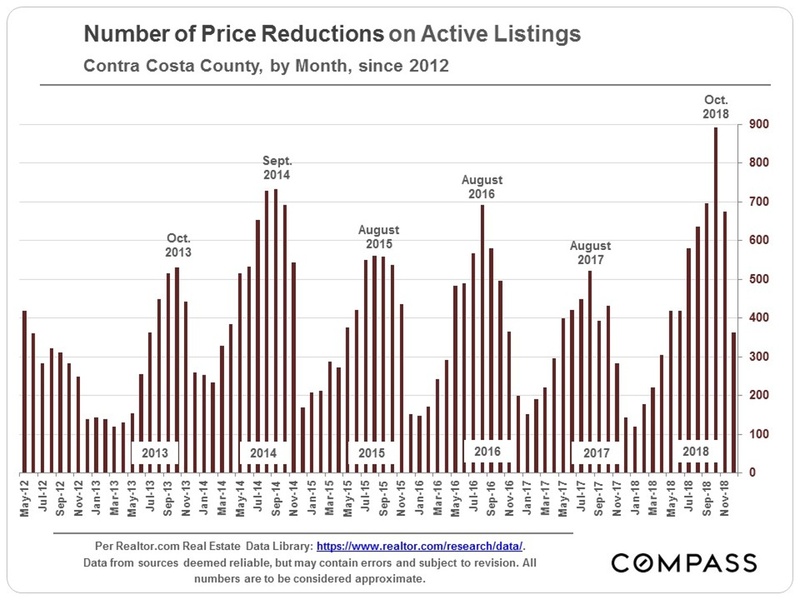 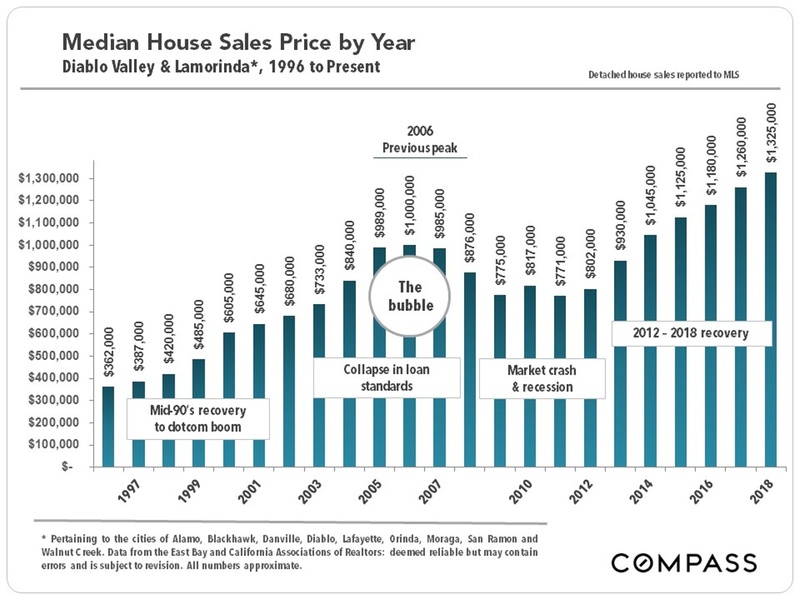 However, price reductions and expired, no-sale listings have increased, and the sales price to original list price percentage has dropped, clearly indications of some changes occurring. 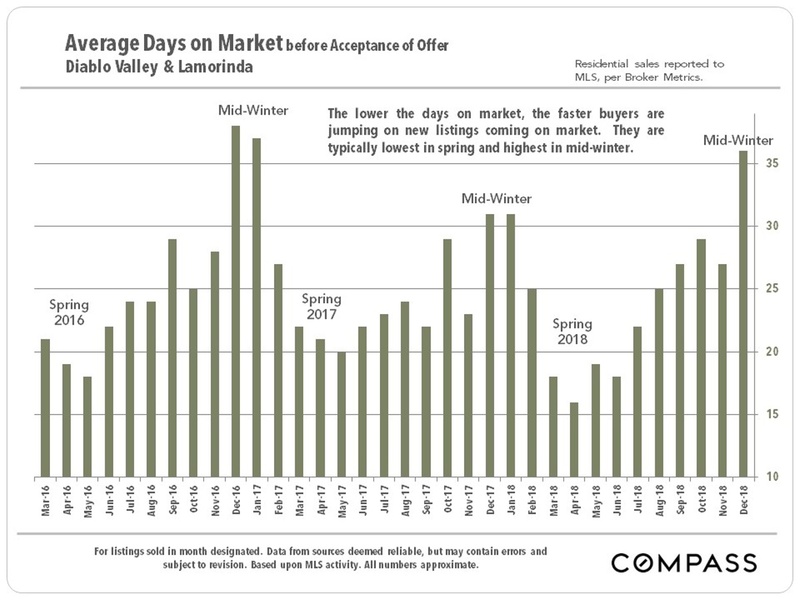 December and January are the two lowest-activity months of the year, and we will probably have to wait until the early spring market begins for more insight into where the market is heading. 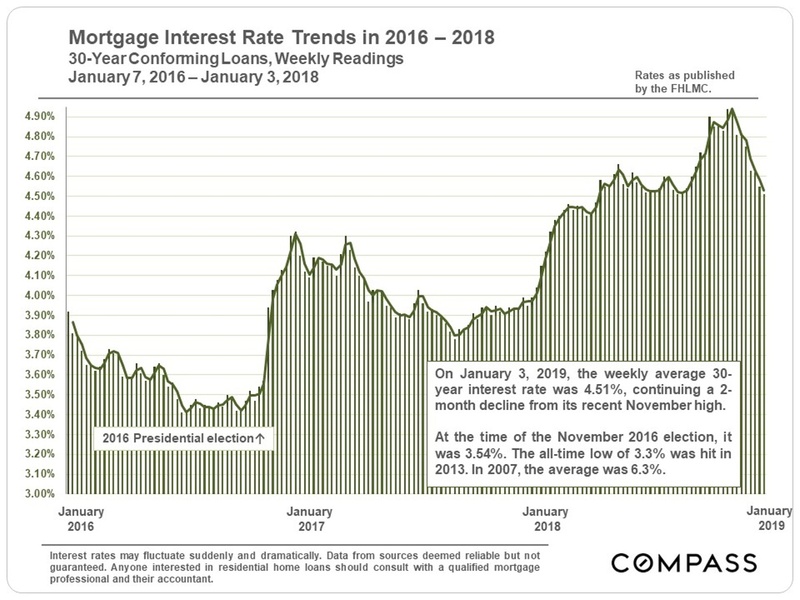 After climbing significantly through November, interest rates have been dropping since then, through the first week of January, which is good news for both buyers and sellers. 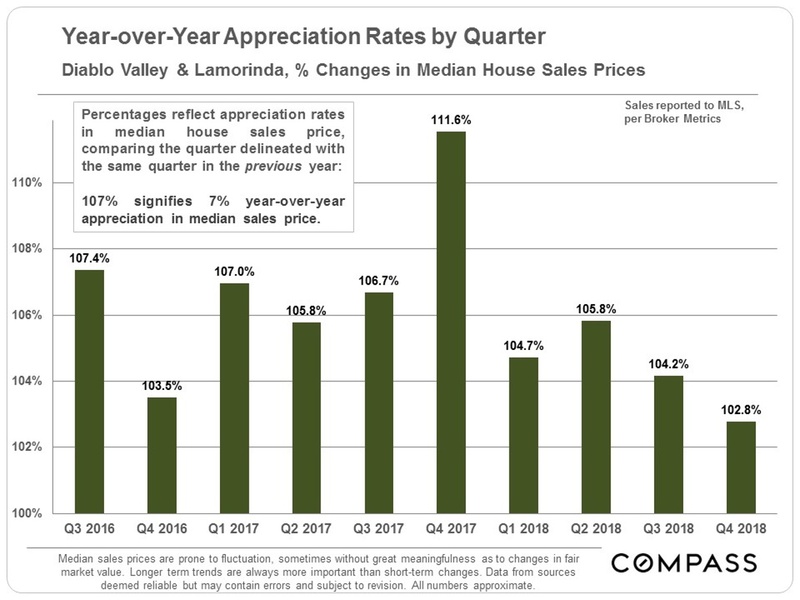 However, rates are still much higher than the lows seen in the last few years.